Of all the lands in Disneyland and Magic Kingdom, the ones that are the least similar to their respective counterparts are New Orleans and Liberty Square. The reason that they are so different is that they are pretty much different lands. Liberty Square has to do with Colonial America, while New Orleans Square obviously has to do with New Orleans. Lets take a walk through the side streets and see where the attractions and the overall land ranks. 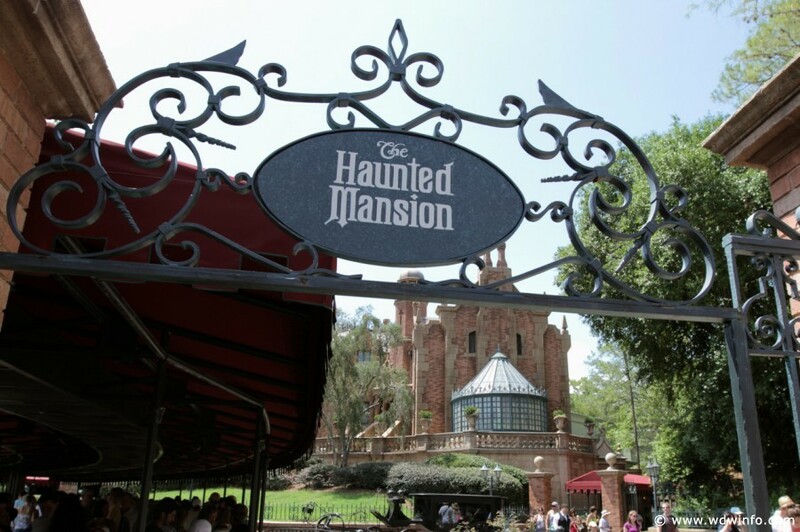 The Haunted Mansion at Magic Kingdom and the one at Disneyland are examples of two very similar attractions. The one at Disneyland is shorter, though. Magic Kingdom added a staircase scene, and the changing picture scene at the beginning is part of the ride at Magic Kingdom, but in Disneyland you walk past it. It was nice to be able to walk so close to what in WDW is the ride. It felt like I was on the ride, but walking. That being said, I would much rather ride past it than walk. People ended up rushing past it to get on the ride first and me, looking at the details, ended up at the end of the queue. I couldn’t help wonder if they even knew what they were missing. That scene is one of my favorite scenes and it just wasn’t the same without it on the ride itself. The Hatbox Ghost is a nice addition to the Disneyland one, and it was nice to see the old mirror effect at the Hitchhiking Ghost scene. In the Madam Leota scene, when she asks for a sign from beyond there is a knocking that sends chills down your spine. In the Magic Kingdom version, I just love how creepy it sounds, but in the Disneyland one that knocking sounds distant and well, fake. Overall, the Magic Kingdom Haunted Mansion is the better of the two. The tricky part about Pirates was finding where to put it in my review. I chose to include it in the New Orleans Square/Liberty Square section because that is where Walt wanted it. I like that in the Magic Kingdom that area of Adventureland feels like the Caribbean, and they even have the interactive Treasures of the Seven Seas Pirate Adventure. The Magic Kingdom was not supposed to have Pirates of the Caribbean, they were going to have Thunder Mesa, but when the Magic Kingdom opened without Pirates of the Caribbean people complained, and they had to find a place for it. Now that that’s out of the way, let’s get to the ride. This was the first ride I rode at Disneyland and I was blown away. I liked how much longer it was; I liked the leisurely ride through the bayou before heading down not one but two drops! The only thing I liked better about the Magic Kingdom ride was that the drop takes you instantly into the battle scene and it is a grand reveal. 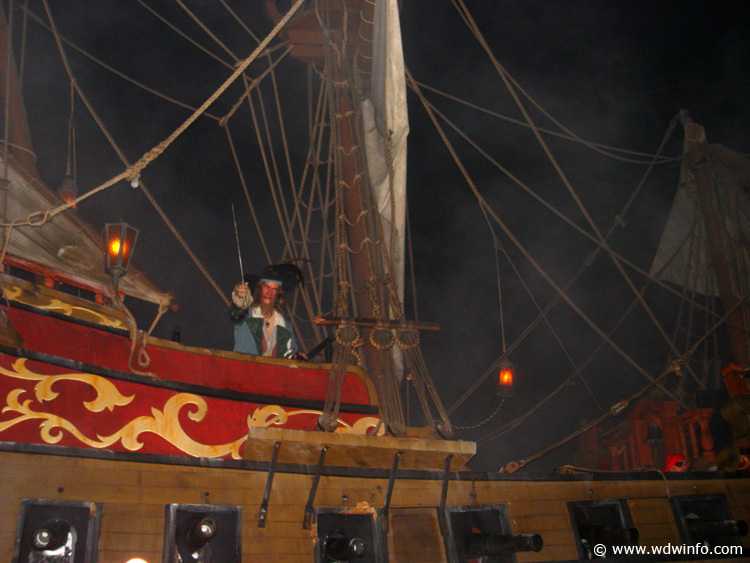 The Jack Sparrow in the Magic Kingdom looks more believable as well. The Disneyland ride even has an extra scene at the end, though, which was a very nice conclusion; you also ride back up the ramp. Given the choice I would much rather spend more time on Pirates, so it’s Disneyland’s Pirates for me. 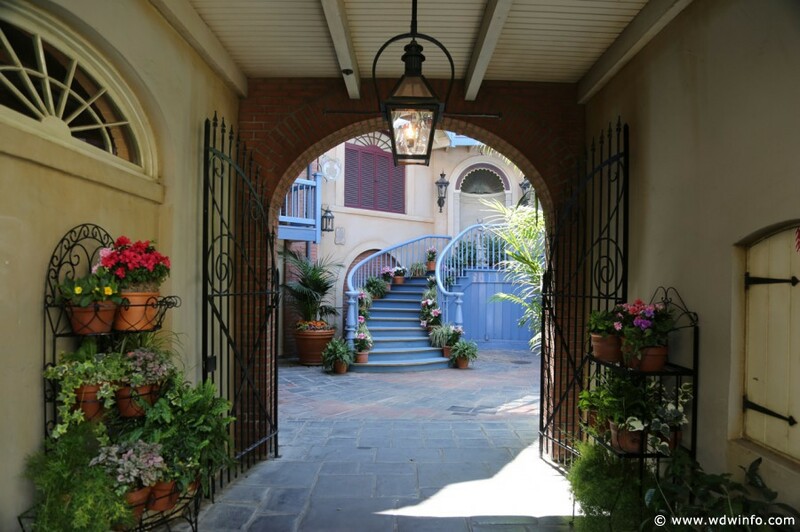 As for the land itself, there is no question at all that Disneyland’s New Orleans Square is far superior. I know that the Magic Kingdom has the Hall of Presidents and Disneyland only has the two attractions, but the theming in New Orleans square is out of this world. I could spend hours walking those streets alone. I went back late at night when it was empty and just wandered through the shops. It took me out of Disneyland and into an idealized New Orleans. 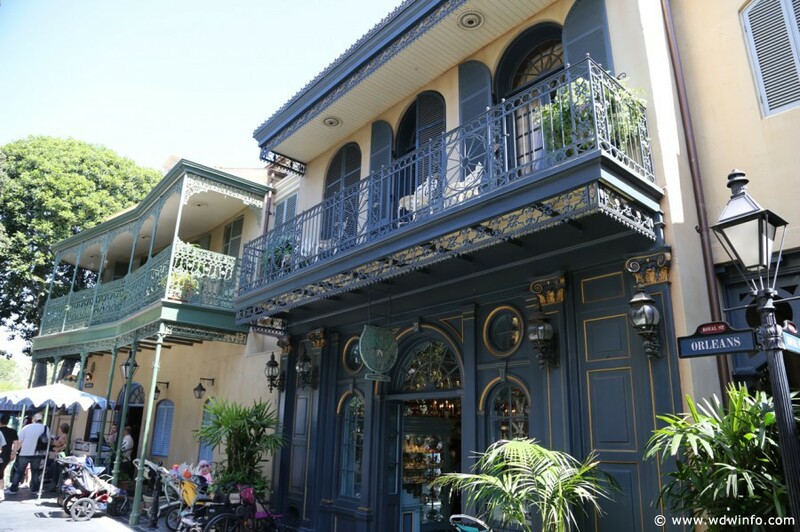 There are different types of shops, Club 33 (I can dream, right? ), and of course the Mint Julep Bar! As I was strolling through I was in pure joy, then I noticed conversations coming from the second story. I listened in and laughed as a man explained to a voodoo doctor that his wife took his hair regrowth medicine and looked like “Ulysses S. Grant.” I thought to myself, this is what makes Disney special. Of all the lands in Disneyland, New Orleans square was my favorite.